Each of the sweeteners contains a different FDA-approved main ingredient. For example, Sweet ‘N Low contains saccharin, aspartame is in NutraSweet and Equal, neotame and sucralose in Splenda and stevia is in Truvia. All promise fewer calories and more sweetness than natural sugar (16 calories per teaspoon), making it a seemingly ideal choice for those who want to lower their caloric intake. 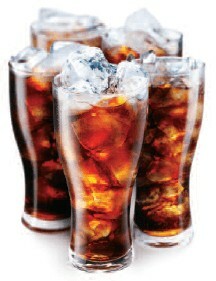 Substituting one zero-calorie soft drink daily for regular soda (150 calories) can save 4,500 calories a month—a potential weight loss of one pound. The downside: safety and health concerns have been swirling around for decades. Beginning in the 1970s, saccharin was linked to bladder cancer in rats, however, subsequent studies did not find evidence of the same effect in humans. Aspartame was scrutinized as a potential carcinogen, and sucralose was reported to potentially wipe out beneficial bacteria in the intestinal tract. Additionally, respected research showed daily consumption of any type of diet drink linked to increased risk of type 2 diabetes. Even the more natural stevia, made from the leaves of a South American shrub, has come under fire for being processed and blended with additives. Dr. David Ludwig, obesity specialist at Boston Children’s Hospital, discourages use of artificial sweeteners, saying they overstimulate sugar receptors and induce cravings for more sweet food. Artificial sweeteners are 200 to 600 times sweeter than sugar, and can distort taste preferences, making foods like a juicy apple seem not sweet-tasting. There are also natural sweeteners such as agave nectar, barley malt, xylitol and birch syrup which the Institute for Integrative Nutrition says are generally considered safer than processed white sugar and artificial sweeteners, and create fewer fluctuations in blood sugar levels, when used in moderation. The best solution: reduce your intake of both processed sugar and artificial sweeteners by retraining your taste buds with a healthier diet, advises Harvard School of Public Health. Quench your thirst with water, plain or bubbly; opt for unsweetened teas, plain yogurt and unflavored oatmeal. It may surprise you to see how little sugar you need to add to satisfy your sweet tooth. 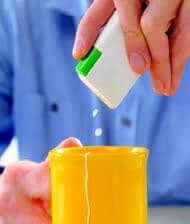 The post Artificial Sweeteners vs. Sugar appeared first on Specialdocs Consultants.